Call us at (434) 977-0777 today. For more information or to schedule an appointment with our Charlottesville chiropractor, call (434) 977-0777 today! Dr. Meghan Dickerson is a chiropractor serving Charlottesville and the surrounding area. 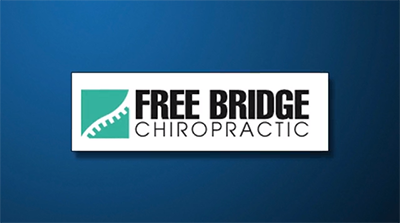 Our chiropractor and the rest of the welcoming team at Free Bridge Chiropractic are committed to providing chiropractic solutions to address your unique needs, whether you are experiencing back pain, neck pain, headaches, or even muscular tightness and tension. You may be searching for pain relief after an accident, experiencing an injury, or if you suffer from a specific condition like chronic back pain or a spinal condition. Even if you are looking to improve your overall health, our chiropractor can help you attain your everyday wellness goals! Visit our testimonials page to find out what our patients are saying about our Charlottesville chiropractor and our chiropractic care plans. At your first visit to Free Bridge Chiropractic, Dr. Meghan Dickerson will explain how chiropractic care works and give you a full evaluation to see if our chiropractic solutions are a good fit to address your needs. If there is a good fit, we can customize a plan of chiropractic care for your condition and health goals. If you have not been to a chiropractor before and want to find out more, please email us or call (434) 977-0777 to receive the answers to your questions from our experienced team. We also welcome referrals, so we invite you to share our chiropractic and wellness information with your friends and loved ones. Through her undergraduate degree at Cornell University and her doctorate from the Sherman College of Chiropractic, she's developed a practice focused on you and your individual needs. I like to call my massage “therapeutic Swedish Massage” because who can relax when they’re in pain? Much of the time, people come to me because they have a specific part of the body with aches, pains, or poor range of motion but also want to stay for a little relaxation too. "Megan is the coolest. There's no sales-hype just a low key therapeutic focus and a commitment to detecting and treating what's not right in the most efficient and effective way possible. Her diagnostic ability is amazing." She goes above and beyond and offers hoilistic approach Started coming for plantar fasciitis, achillie tendinitis, and arthritis in front part of my feet after losing all hope and seeing dr after dr i came to her office in 2010 and she treated me and now am pain free and doing great don't have any of those problems and I have been coming back since for my over all health and maintain." "My husband and I both go to Dr. Megan. She makes you feel at ease and is friendly and caring. Oftentimes I can call her and she will squeeze me in the same day if I need to be seen immediately. I highly recommend her practice to anyone who needs a chiropractor." "She's the best. All my doctors ask where I go and when I tell them Megan Dickerson she gets their approval hands down. She has helped me where doctors can do nothing, with my scar tissue etc. from hernia operations, and back problems"